August 21st, 2017, is the first time in almost 100 years that much of the United States will get to see a solar eclipse in totality! The path of the moon’s 70-mile wide shadow (considered “totality” because the moon will block out the entire sun) will travel across mainland U.S. in a continuous line, including many states close to my heart: Illinois, Kansas and Missouri. We are fairly close to totality in southern Indiana, and my son and I are so excited to see it! However, since the sun is very bright and emits UV and infrared waves, it is extremely dangerous to look directly at the sun, even during a total solar eclipse. Solar eclipse – The sun is really, really, really big…and the moon is rather small in comparison (It would take 400 moons lined up to equal the width of the sun). Since the moon is so much closer to the earth, it looks to to us like the sun and the moon are the same size. An eclipse occurs when the moon passes between the sun and earth, and appears to covers up the sun. Actually the moon’s shadow is being cast across the earth. It is in the path of the moon’s shadow that we experience a total eclipse of the sun. Ultraviolet waves – UV waves are a form of radiation that is emitted by the sun. These waves are what cause sunburns, skin cancer and eye damage. During a solar eclipse, the sun appears less bright and people could be tempted to look directly at it. However, the UV waves are still as strong as ever and capable of doing irreparable damage to your eyes! Click on this link to follow these instructions put out by the Boy Scouts of America. There is a great video on the site to guide you through! Have a grown-up use the box cutter to cut out a small square on the bottom right corner of the short end of the shoebox. Place a square of foil over the hole and tape it down. Be sure your tape goes all the way around; you don’t want any extra light to enter the box. Cut out a small square of white paper and tape it to the inside of the box directly across from the foil. This is your “projection screen” where you will see the image of the sun. Using the box cutter again, cut another small square on the long side of the box nearest the white paper. This will be the opening you look through to see the sun’s image. Use a pin (safety pin works fine) to poke a pinhole into the center of the aluminum foil. It should be very small – if it is too big you will not see the sun’s image but a blurry light. TEST IT OUT! On a sunny day, stand with your back to the sun. Line up the box so that the sun shines directly into the pinhole. You should see the image of the sun (spoiler alert: it looks like a white circle). During the eclipse, you will see the shape of the circle change as the moon passes in front of the sun! DO NOT LOOK THROUGH THE PINHOLE AT THE SUN. This type of viewer works much like a pinhole camera: the light from the sun enters through the pin hole and projects an image of the sun onto the white paper. (This is the same thing that is happening when light enters our eye through the pupil! Rather than a ‘projection screen,’ we have a brain to interpret all that light into the things we see.) You can use the viewer to observe the sun on a normal day as well. I would definitely recommend testing out your viewer before the eclipse to get an idea of what the sun looks like. With your back to the sun, look through the opening on the side of the box to see the sun’s image projected on the white paper inside! Here are a few other resources I found to help you and your kids enjoy Solar Eclipse 2017! 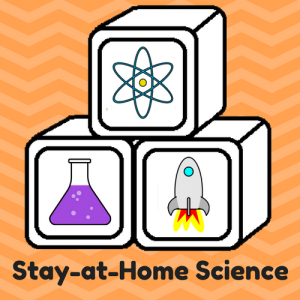 Learn more about Pinhole Viewers and how they work with this cool experiment for 6-8th graders from Science Friday. Use the sun to roast s’mores by making a solar oven. 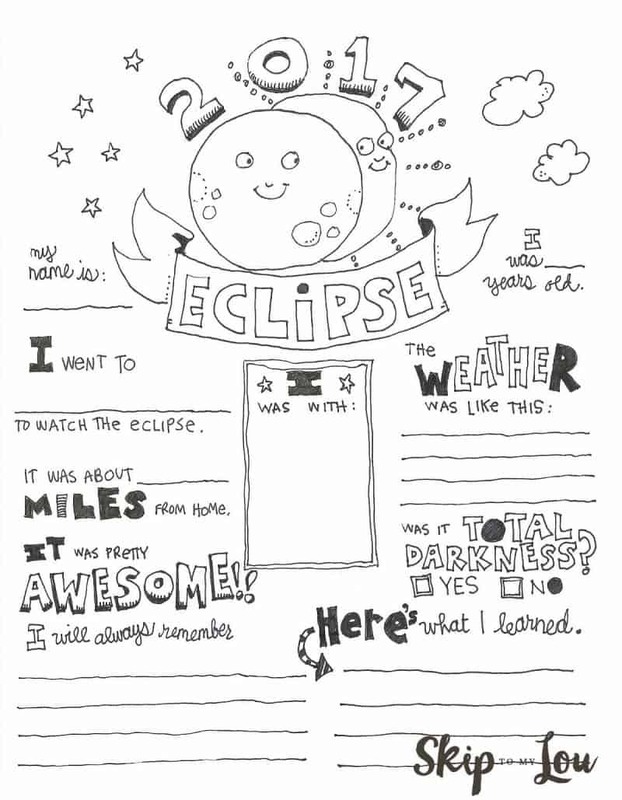 Print off this Solar Eclipse keepsake memory page from Skip to My Lou.